Logistics management startup Locus has raised $4 million (Rs 26.8 crore) in a pre-Series B round of funding from new and existing investors. The Bengaluru-based company said in a statement that Rocketship.vc, Recruit Strategic Partners, pi Ventures and Hemendra Kothari of DSP Group had joined its investor pool. Existing investors Blume Ventures, Exfinity Venture Partners, BeeNext and growX ventures also participated in the round. VCCircle had earlier reported that the company had received an undisclosed amount when it raised the first tranche of the pre-Series B round in October last year. Locus said it will use the fresh capital to continue building intellectual property (IP) and to expand globally. Its logistic-tech solutions can be used in inter-city long haul, hyperlocal deliveries, 3PL (third party logistics), first and last mile deliveries for e-commerce companies, reverse logistics and ridesharing. "Locus' sophisticated AI engine has delivered 10-15% cost reduction in real-world scenarios across the globe," said Manish Singhal, founding partner of pi Ventures. Locus’ clientele includes e-commerce, logistics and fast-moving consumer goods (FMCG) companies including Urban Ladder, Tata Group of Companies, Droplet, Licious, Rollick, and Lenskart. The firm currently works with clients in India, Singapore, Indonesia, the US and Canada. Locus, operated by Mara Labs Inc, was founded in March 2015 by Nishith Rastogi, a BITS Pilani alumnus, and Geet Garg, an IIT- Kharagpur graduate. Both had earlier worked together at Amazon. The company provides its flagship product from its Bengaluru-based Indian subsidiary Mara Studios Pvt. Ltd. The duo had earlier co-founded Pinchat, a location-based interaction app. They also operate a non-profit initiative through an app called Ridesafe, which focuses on women safety. In May 2016, Locus had raised $2.75 million (around Rs 18.3 crore) in a Series A funding round from Exfinity, Blume, BeeNext and Rajesh Ranavat, managing director of Fung Capital. In July 2015, the company had received seed funding from early-stage investment firm growX Ventures, Bhupen Shah, Manish Singhal, Amit Ranjan and others. Recruit Strategic Partners is the general partner in RSP India Fund, LLC, the private equity arm and investment subsidiary of Japan-based diversified consumer and business services provider Recruit Holdings Co Ltd. The fund was formed in 2015. In April, Recruit Group invested in Rubique, a Mumbai-based online marketplace for financial products. pi Ventures is an early-stage venture capital firm. Launched in 2016, its portfolio companies include Internet of Things (IoT)-based energy management startup Zenatix Solutions Pvt. Ltd, wearable medical device startup ten3T, medical technology startup SigTuple Technologies, and breast cancer screening startup Niramai Health Analytix. Earlier this year, it marked the second close of its debut fund at $25 million (Rs 160 crore). Rocketship.vc is a US-based is an early stage-venture capital fund focused on data science. It had late last year invested in the Series A round of US- and India-based online education startup Springboard. The broader tech-enabled logistics sector has witnessed considerable investor interest of late. 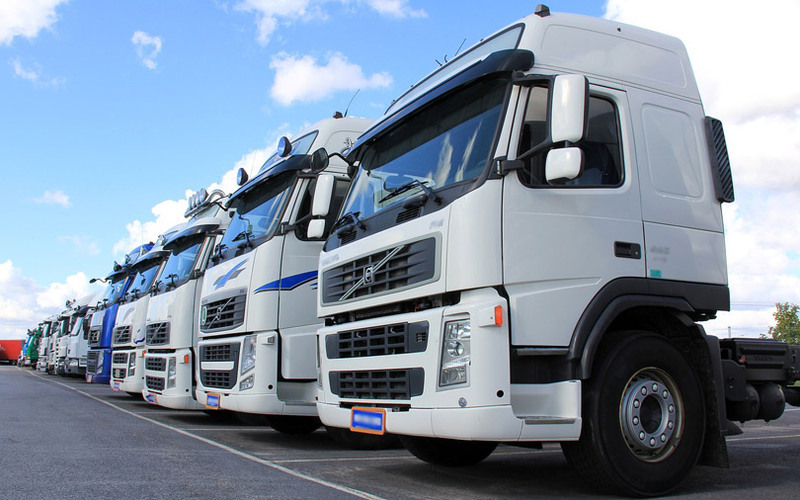 Recently, FreightBazaar, an online platform which connects truck users and suppliers, raised an undisclosed amount in a pre-Series A funding round led by Omphalos Ventures India. Last month, VCCircle reported that Delhivery was planning to go public and had asked investment banks to pitch for the mandate to run the share sale. It is slated to be the first Indian tech-enabled logistics firm to go public. Also in May, Mumbai-based Cogo Freight Pvt. Ltd, which owns and operates digital freight company Cogoport, raised Series A funding from venture capital firm Accel Partners.